These are almost too pretty to eat! But that didn't stop my kiddos! The girls said this reminded them of sushi rolls on this serving dish! LOL! 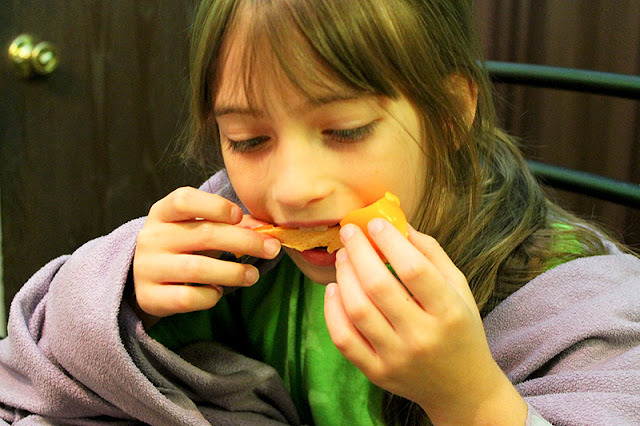 During the summer I love to try new recipes and crafts to keep the kids (and me) busy. 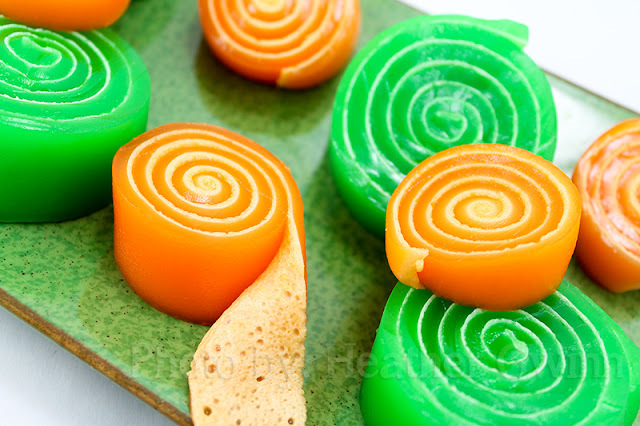 Recently we make our own homemade Jello pinwheel snacks, with great success might I add. I cannot take credit for this creative recipe, I am only sharing our fun adventure making it along with some extra photos and explanations I think the other sites lacked. Nearly all the ingredients and items you need to do this. Not shown, wax or parchment paper and little helpers! This is what your marshmallows should look like. Puffed but NOT completely melted. 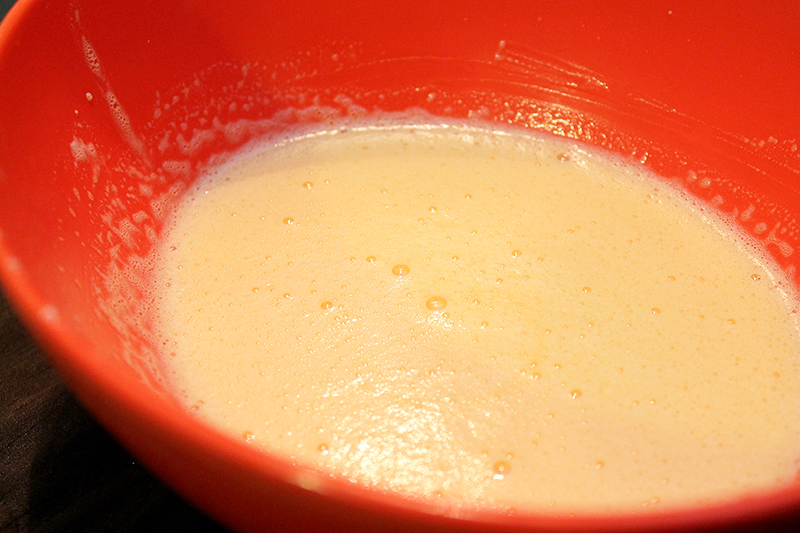 What your jello/marshmallow mix will look like all whisked together. After being peeled out of the pan and placed on parchment paper. 1. Ahead of time clear some space in your frig to allow your jello to lay completely flat. 2. Lightly spray a 8 or 9 inch square dish, pan, or even small cookie sheet. Be sure to spray the entire pan well! Then set aside. 3. In a microwavable bowl add water and jello packet. Whisk well and microwave for about 1 min. 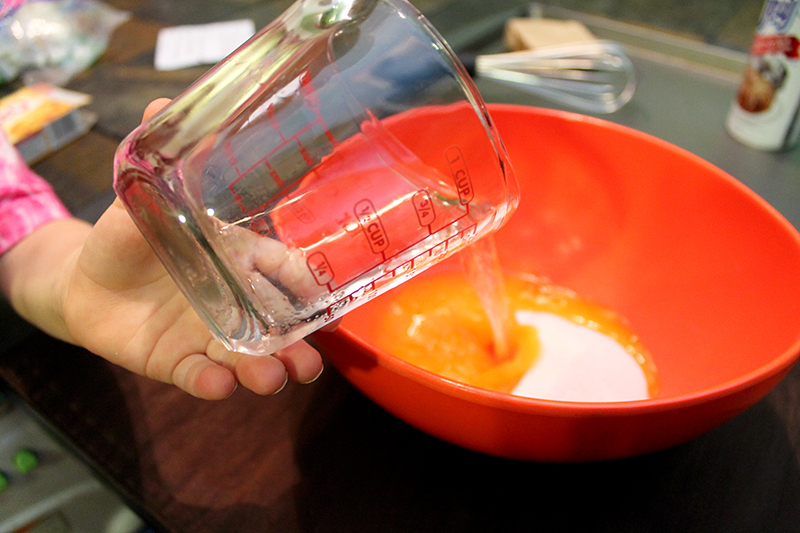 Remove and mix again to make sure your jello is completely dissolved. If you see that it isn't completely dissolved, microwave again for about 20 sec. 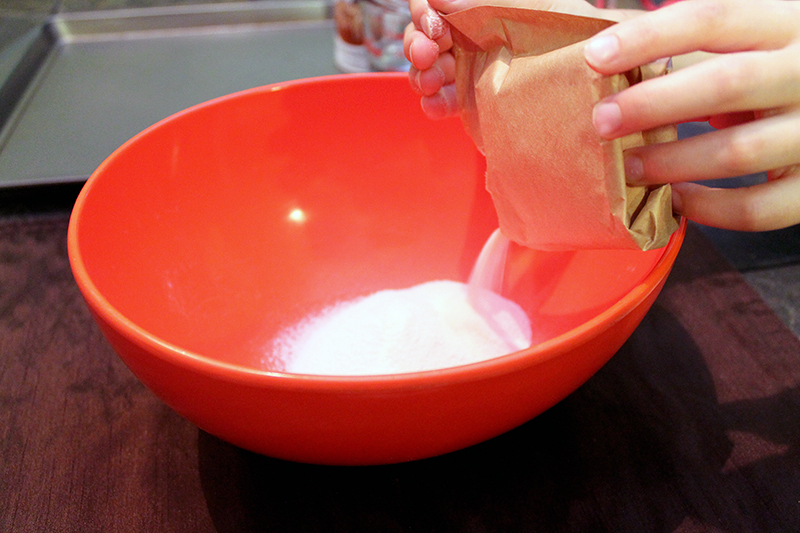 Then remove and whisk again. 4. 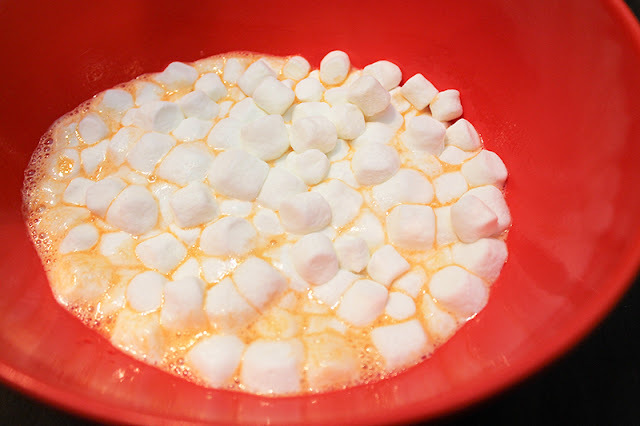 Add marshmallows to jello mix and return to microwave for 25-45 seconds or until marshmallows begin to puff up but are NOT melted! *Note this is very important! If you melt your marshmallows too much it won't give you that fun two layer affect. 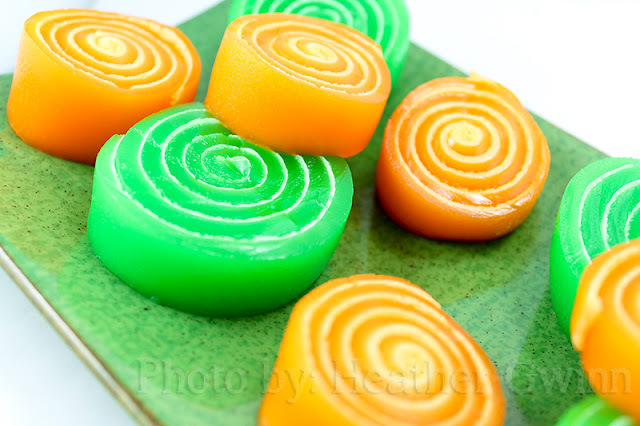 Whisk marshmallow/ jello mix well till completely dissolved and well blended together. 5. 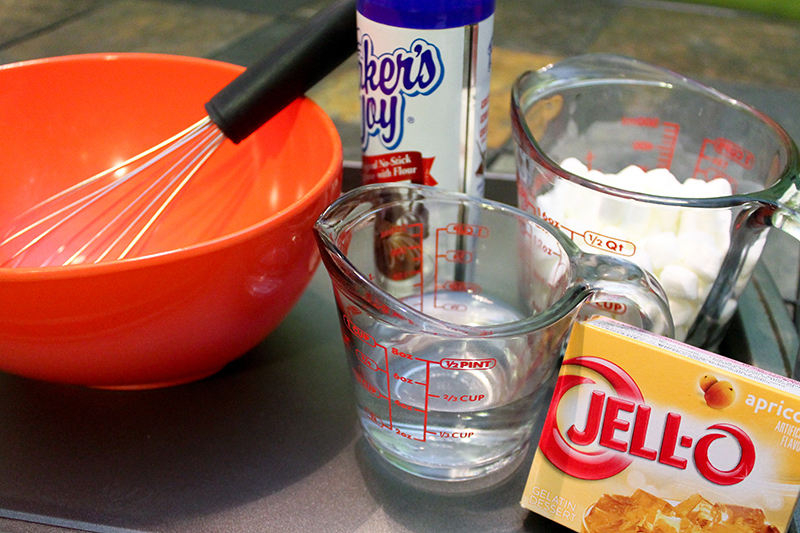 Quickly pour your jello mix into your prepared pan. Make sure it has nicely spread evenly across your pan or dish. 6. Refrigerate for about 45min. 7. Remove jello from frig. By now your jello should be firm and easy to remove. Carefully run your finger or a spatula along the edge of your pan to loosen up your jello. Then slowly peel it out. 8. 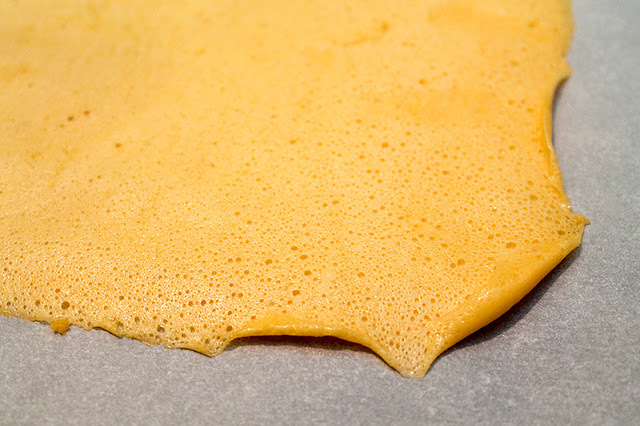 On a sheet of wax or parchment paper carefully lay out your jello. 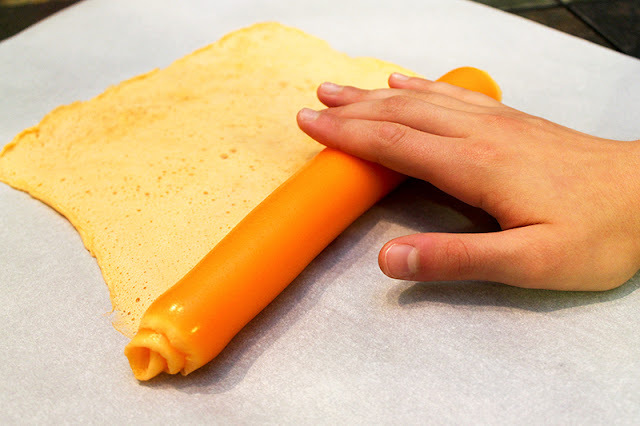 As long as your pan wasn't too small your jello should be pretty flexible and easy to move around. Smaller pans will create a thicker and a bit harder to remove jello (but not impossible). 9. 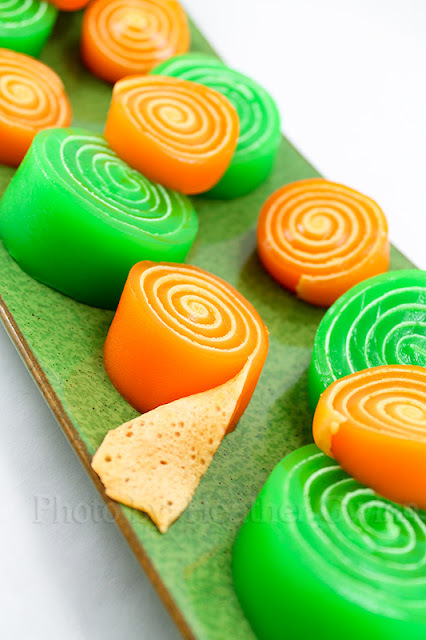 With the marshmallow side up, begin to tightly roll up your jello. 10. 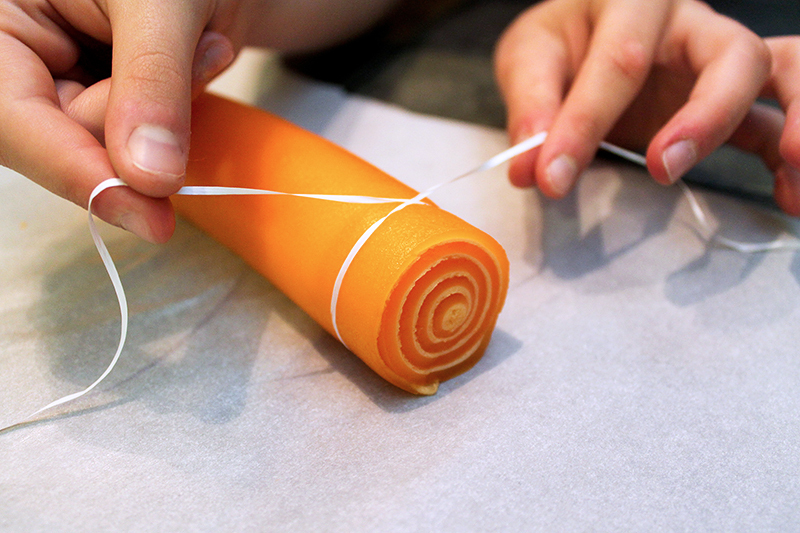 Using a piece of floss, string, or even a wire cheese cutter slice your roll and enjoy immediately or refrigerate till ready to eat! This is insanely easy and quick to make (aside from chilling time). Our first try we did a 3 oz jello packet in a 9 using a baking dish. The second batch we used a 6 oz jello packed and doubled the rest of the recipe placing it on a larger cookie sheet. Between the two I found the baking dish easier to use and remove the jello from. Plus the larger recipe was harder to remove cause if it's heavier weight without tearing. I'm wondering if I could try this with sprite instead of water next time. Hummm. Wonder if that is possible? This whole recipe took only about 10-15 minutes with little helpers. Alone this could take 5-10min (minus the 45min chill time). P.S. 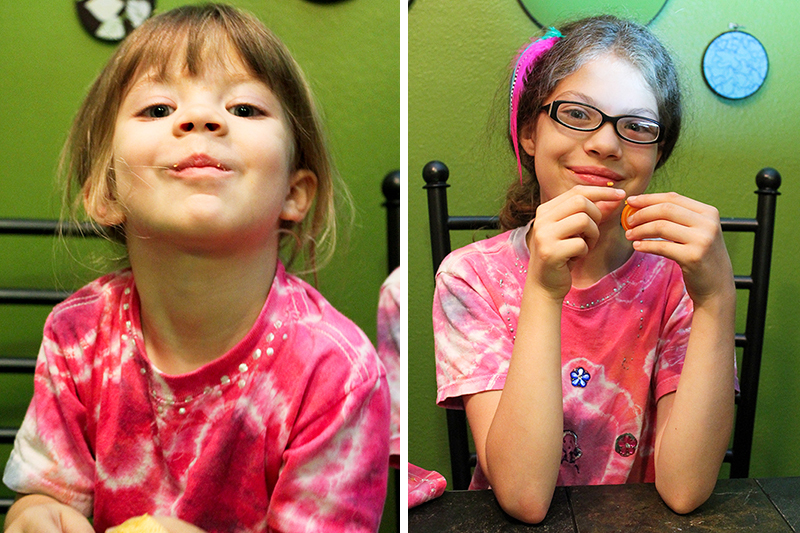 We usually do our crafts at night after baths during the summer which is why my girls are generally in their jammies and photos aren't as bright. That looks like fun and yummy too! They are! I think you and Mary would have a lot of fun making these! Ours didn't last 24hrs! These look absolutely amazing Heather! Thank you! They completely are and so easy to make too!